Each year, 13,000 patients die from catheter-associated infections due to severe complications including sepsis, organ failure, and nephritis. The impact of catheter-associated infections cannot be understated; there are 250,000 catheter-related bloodstream-infections and the total economic cost of catheter-related urinary tract infections is $3.5Bn annually. We believe that it is simply unacceptable that patients die from nosocomial infections in a location that is meant to be a haven of healing. Nosoco Technologies proposes to re-invent the outdated catheter by incorporating micro-structured wrinkled instabilities created through Roll-to-Roll methodologies into the material to physically disrupt biofilm formation and prevent infection at the source. Solar panels are most effective when they directly face the sun. At more oblique angles, the amount of light reflected from the panels decreases, causing solar panels to reflect up to 38% of the light that hit them every day. Solar trackers help solar panels follow the sun, but are extremely costly to implement and maintain. However, using Penn’s roll-to-roll surface wrinkle printing innovation on the solar cell panel, SolArray will reduce daily reflection to just 1.1% and help utility companies generate 25% more electricity. This solution is significantly more effective and cost-efficient than current silicon-based anti-reflection coatings. Traditionally, tissue engineering labs use flat petri dishes to grow tissues that turn into organs. But our body is nothing like that flat surface of a petri dish. Our cells grow in a variety of textured environments. On flat surfaces, the cells end up growing in a way that looks like a spaghetti mess instead of organized tissue structure. Textured surfaces enable aligned cell growth, which is necessary for realistic tissue in vitro. With scalable nanowrinkle technology, VivoDish brings tissue engineering from benchtop to bedside (real patients), delivering smart cell culture dish solutions to revolutionize the tissue engineering space. The four teams have until the end of January to refine their ideas and build their presentations. 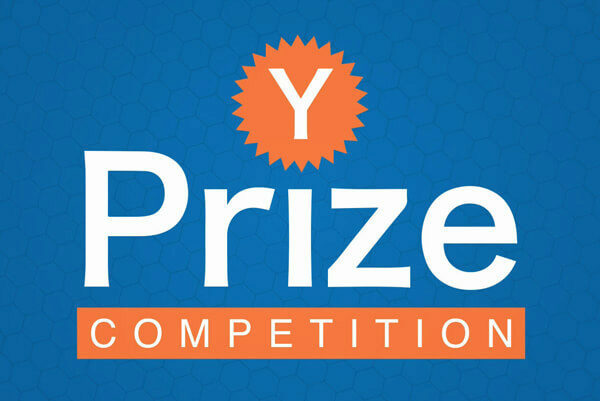 Watch them pitch live to a panel of judges for the $10,000 grand prize in the Y-Prize Grand Finale on January 28. Learn more about the technology the finalists are using in the video below.